Could You Be Suffering from Obstructive Sleep Apnea? Do you go to bed early each night so you can get a good night’s rest, but still wake up feeling tired in the morning? 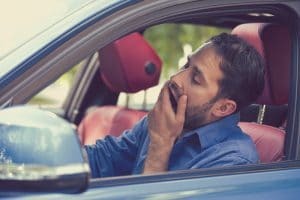 In fact, do you find yourself nodding off at your desk, or even behind the wheel, because you are just so exhausted? If so, have you considered that a sleeping disorder could be to blame? If you have been told you snore loudly, or ever woken up because you were gasping for air, Obstructive Sleep Apnea could be the problem. It is a dangerous condition that involves momentarily lapses in breath, during the night. Fortunately, many dentists can offer minimally invasive treatment for OSA. Could it be what you need to start sleeping better and more safely? While snoring isn’t always indication of a sleeping disorder, loud snoring is often one of the earliest warning signs of OSA. Over time, the drastic impact it can have on one’s sleep, can also lead to increased blood pressure, and risk of heart disease and stroke. It can also cause difficulty concentrating or even staying awake, as well as irritability and depression. For many patients, nightguards from their general dentist are a great treatment option for sleep apnea, because they are minimally invasive, but they help to keep the soft tissues in one’s throat from shifting and blocking one’s airway as he or she sleeps. These appliances are similar to the kind of mouthguards many athletes wear during sporting events to help protect their teeth, only the sleep device is specifically crafted to keep one’s airway clear. Concerned You Could Need Sleep Apnea Treatment? If you or a loved one could be suffering from sleep apnea, schedule a visit with your dentist. You can schedule your consultation with Gateway Dental Group in Des Moines, IA, today at (515) 244-9565.